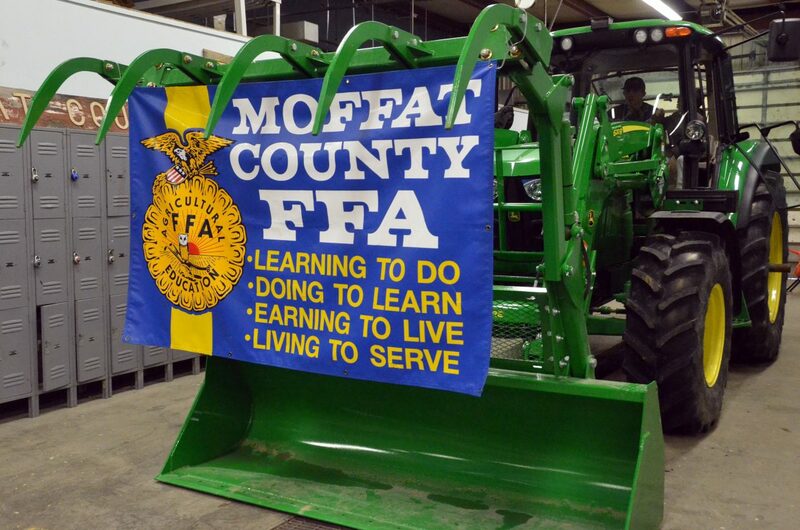 Heavy farm equipment displays the FFA banner during Barnyard Day hosted by Moffat County High School Future Farmers of America. 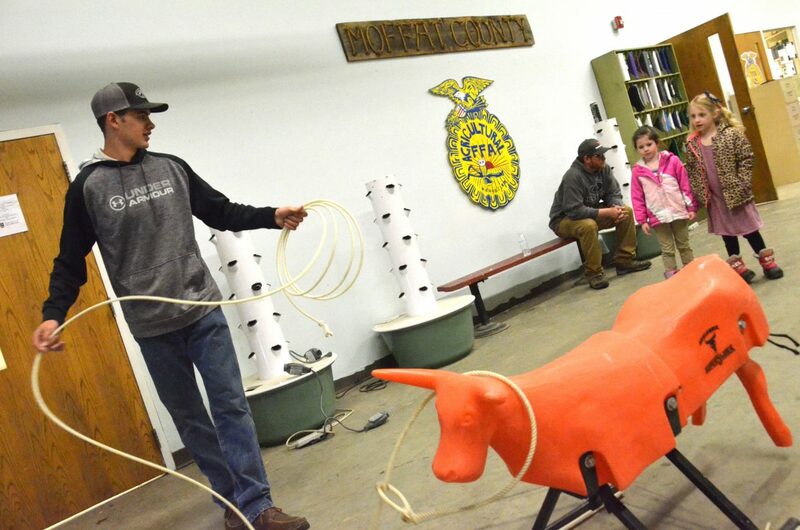 Carlin King demonstrates the art of the lasso during Barnyard Day hosted by Moffat County High School Future Farmers of America. 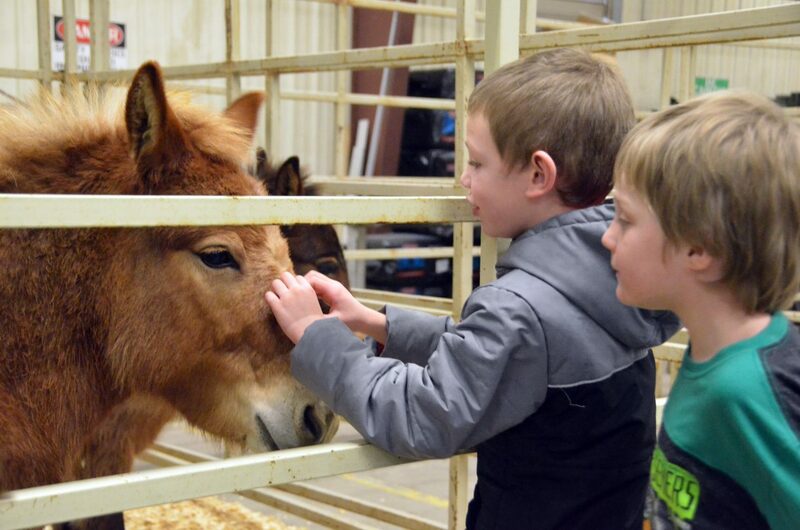 Sandrock Elementary School kindergartners Arsynn Duncan, left, and Stephen Lighthizer meet Nacho the donkey during Barnyard Day hosted by Moffat County High School Future Farmers of America. 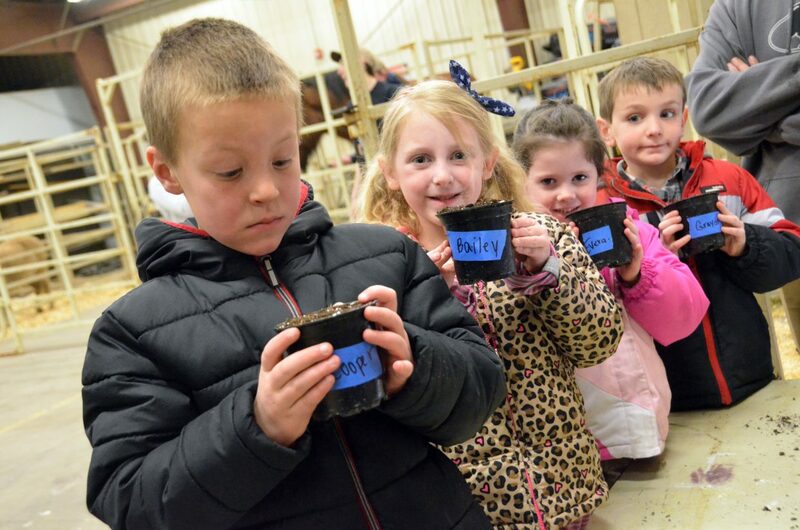 From left, Sandrock Elementray School kindergarten students Cooper Macomber, Bailey Holmes, Evera Petree, Grayden Jones hold up pots of soil they'll use for planting after learning about agriculture as part of Barnyard Day Thursday at Moffat County High School. 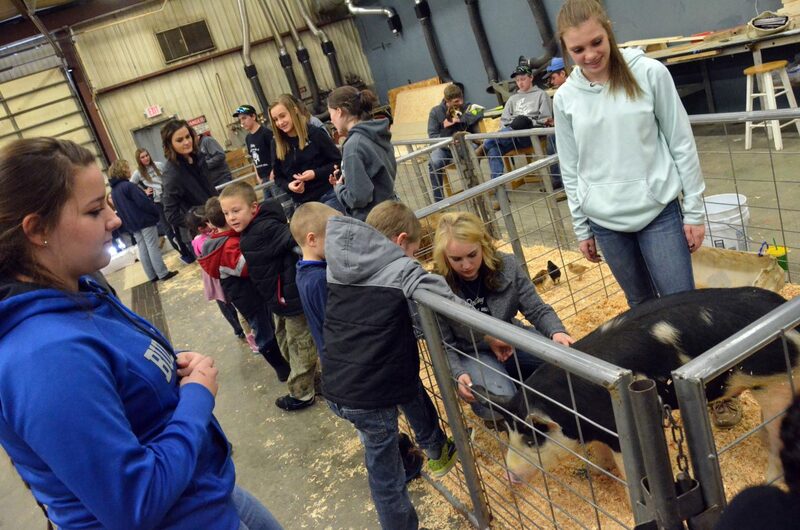 As part of FFA Week, MCHS's chapter of Future Farmers of America hosted the event for local kids, featuring a variety of farm animals, equipment and activities. Sandrock Elementary School kindergartners view a horse during Barnyard Day hosted by Moffat County High School Future Farmers of America. 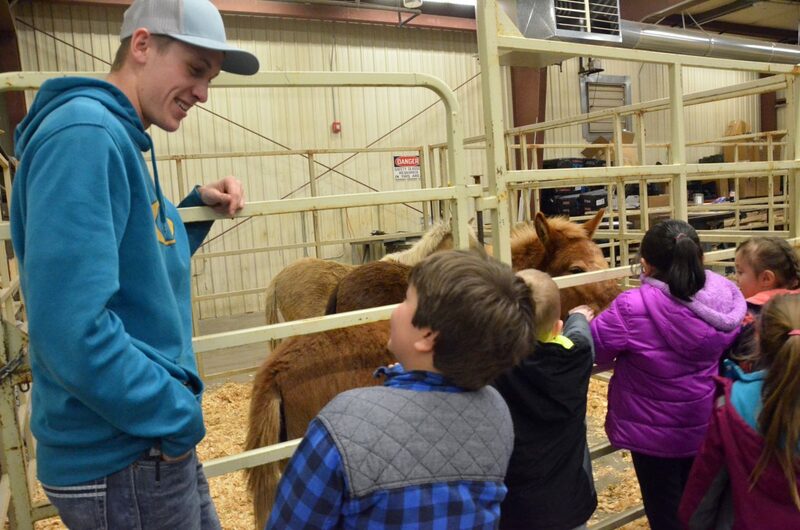 Kasen Brennise chats with Sandrock Elementary School students during Barnyard Day hosted by Moffat County High School Future Farmers of America. 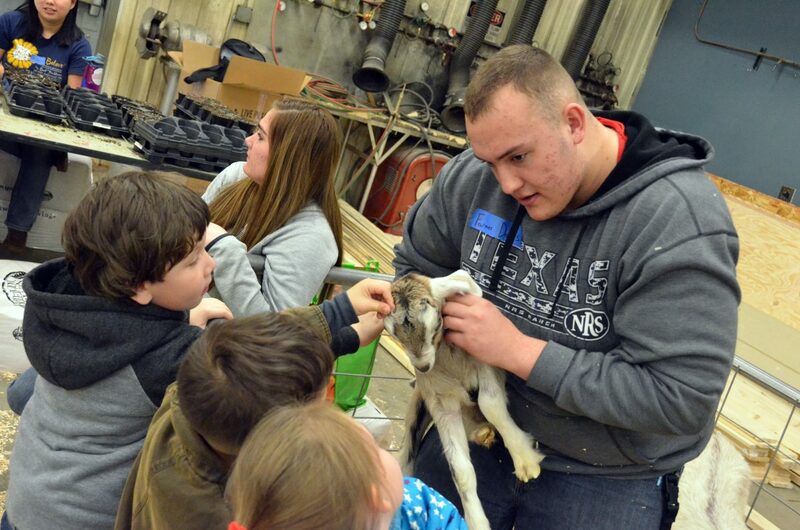 Bryson Davis holds up a goat for students to view and touch during Barnyard Day hosted by Moffat County High School Future Farmers of America. 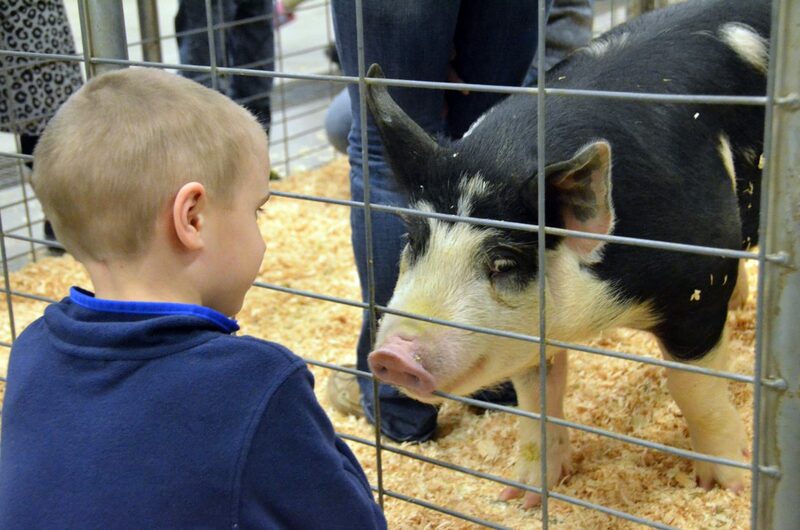 Pigs, cattle, chickens and more animals were available for kindergarten students to meet and greet with during Barnyard Day hosted by Moffat County High School Future Farmers of America. Tauren Farquharson helps Sandrock Elementary School students wait for their turn in behind the wheel of a tractor during Barnyard Day hosted by Moffat County High School Future Farmers of America. 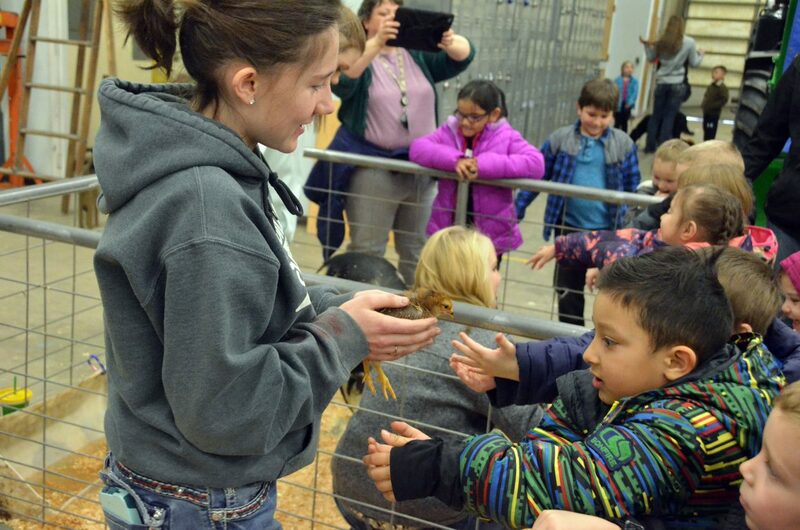 Kindergartners and Moffat County High School students bonded during Barnyard Day hosted by MCHS Future Farmers of America. Allison Villard displays a chick for curious students during Barnyard Day hosted by Moffat County High School Future Farmers of America. 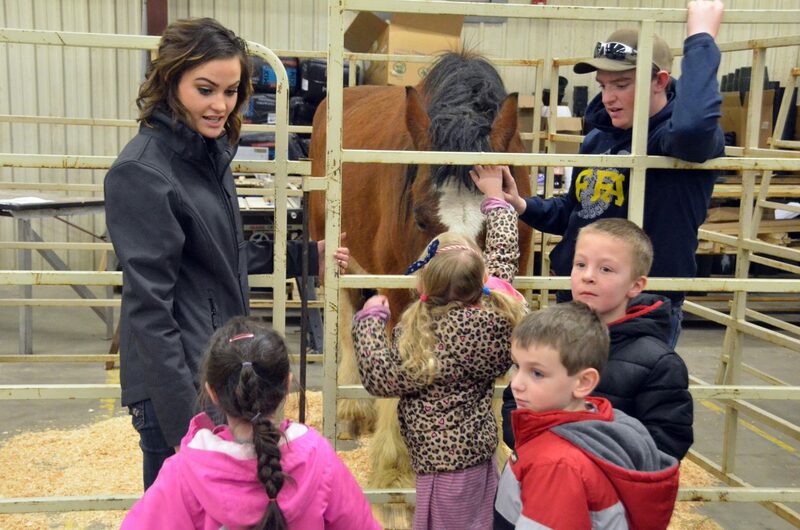 The Moffat County High School chapter of Future Farmers of America offered all the fun of the farm during Barnyard Day Thursday at MCHS. 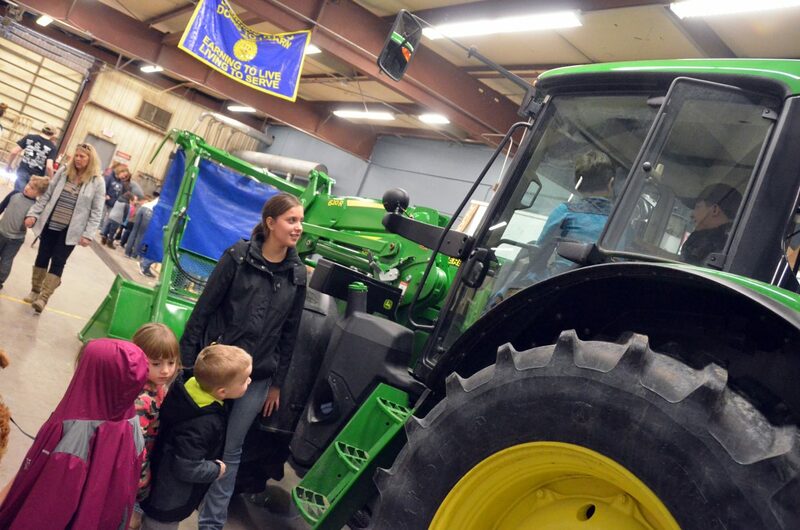 As part of National FFA Week, high school students guided kindergartners from Craig elementary schools through the ins and outs of agriculture with displays teaching about heavy mechanical equipment, planting crops and of course, lots and lots of animals. FFA members brought in their own furry and feathered friends, including farm dogs, chickens, sheep, goats, pigs, donkeys, horses and cattle. FFA adviser Ray Sanders said nearly all of the MCHS chapter had a similar experience a decade or more ago when they were in kindergarten. While showing her cow, Payton Voloshin fielded questions from younger students about the animal’s role in the barnyard, whether for beef or milk. Some were well aware of its life cycle, while others were completely unfamiliar, she said. “Nowadays, not a lot of kids know that meat doesn’t just come from the store,” she said. The younger students also liked the experience, as did their teachers. 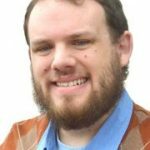 “We’re learning about animals, and here we are, able to see them in real life, so it’s pretty incredible for them to have that hands-on experience,” said Megan Bell, kindergarten teacher for Sandrock Elementary School.